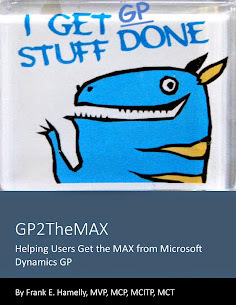 Ever wonder what tables and/or fields are associated with a particular window in GP? Did you know there's an easy way to find out? Resource Descriptions provides the answers. 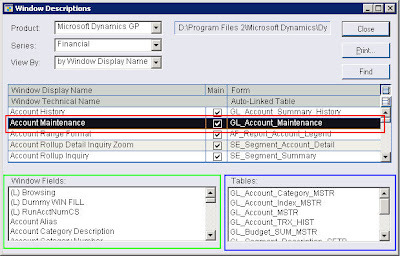 For instance, let's say you want to find the tables associated with the Account Maintenance window. Select the Product, Series, and 'View By' then scroll down to the Account Maintenance line and click on it. The associated tables appear in the scrolling window in the bottom right corner and the fields appear in the scrolling window in the bottom left corner.